What this woman did to her six new-born babies has earned her life in prison. A woman was jailed for life after pleading guilty to murdering her six new-born babies and concealing their bodies in her garage. Forty-year-old Megan Huntsman was given the maximum sentence on Monday. Huntsman, of Pleasant Grove on the outskirts of Salt Lake City in Utah, America, told police she was too addicted to crystal meths to take care of children. She pleaded guilty to six counts of murder in February. Authorities say Huntsman’s estranged husband, Darren West, who is the father of the dead babies, discovered their bodies when he cleared out a garage at the house the couple had earlier shared. Police say Huntsman gave birth to the children over a period of 10 years – from 1996 to 2006, and had strangled or suffocated each child immediately after their birth. A seventh baby found in the garage was stillborn. She’d wrapped the bodies in cloth, placed them in plastic bags then packed them in boxes. When she moved out of the house she left the bodies behind. West found the bodies on his release from prison after serving an eight-year sentence for crystal meths offences. He’d lived with Huntsman in the decade the babies were born, but police say he wasn’t a suspect in the murders. West hasn’t spoken publicly about the case. 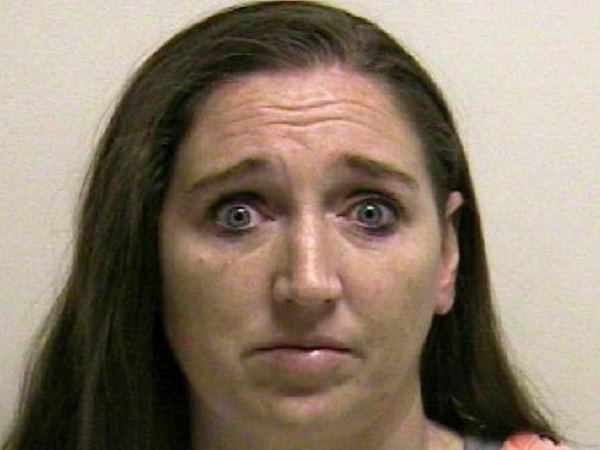 Her sentencing concludes a trial that sent shockwaves through the quiet, predominantly Mormon community where Huntsman had hidden the bodies for more than a decade.